Spring cleaning is a great time to freshen up your wall decor. Have old family pictures that should be on the wall? We can do that! Have some favorite art that might need updated conservation glass, or fresh new acid free matting? We can do that! Need a cracked piece of glass replaced in a frame? We can do that! Bring in your art and we will help you perk it up so that you can love it all the more! We are featuring local artists Connie Newby and Olga Nielsen this spring. Olga works in a variety of media primarily focussing on the female form. 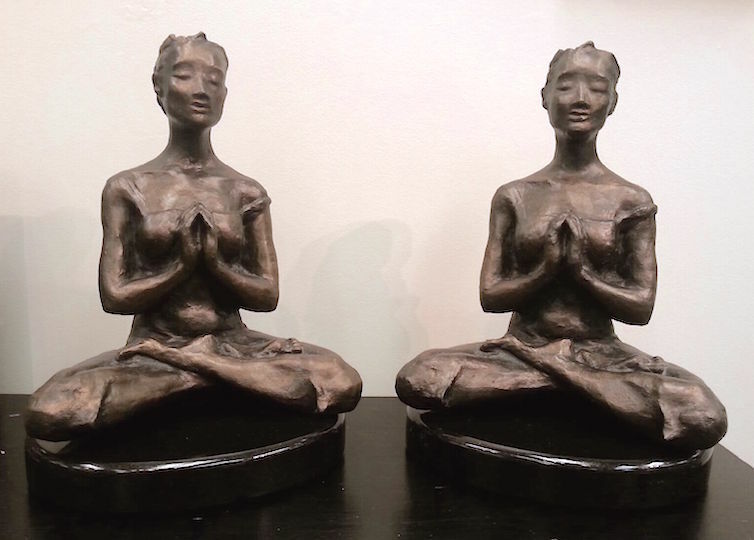 We have several of her bronzes and a few pastels on display. Connie creates beautifully detailed ink drawings of trees that are just beautiful.